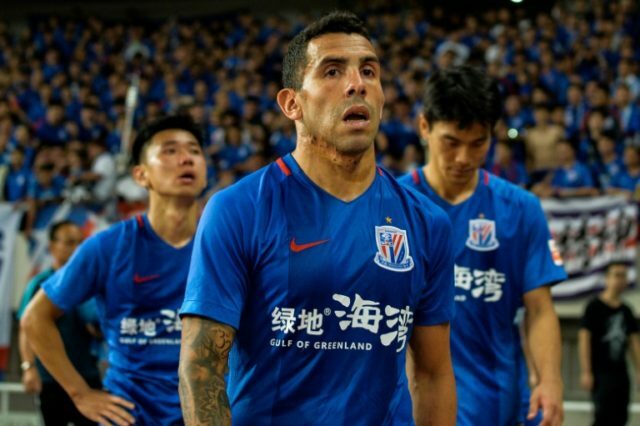 Shanghai (AFP) – Handsomely paid Carlos Tevez cannot expect to play every game for the Shanghai Shenhua side just because of his famous name, the Chinese team warned on Monday, the latest twist in his turbulent spell with the club. Shanghai’s new coach Wu Jingui said earlier this month that the 33-year-old was overweight and would not play again until he shaped up, only to bring him on as a substitute for the derby at Shanghai SIPG days later. That sparked fresh conjecture about Tevez’s future in China, where he has failed to settle off the pitch and missed half the games injured. Shanghai Shenhua spokesman Ma Yue on Monday hit out at media reports suggesting Tevez and Wu — who replaced Gus Poyet when the Uruguayan quit two weeks ago — had fallen out and said communication between the pair was “very smooth”. Tevez “should have already realised, clearly, that he can’t be sure to be included in the starting line-up based on his fame only,” Ma wrote on Weibo, China’s equivalent of Twitter. “All of the above is not to make excuses for Tevez, but I just want to say that he hasn’t given up like certain foreign media have said,” wrote Ma.